Lots of new projects are in the works. 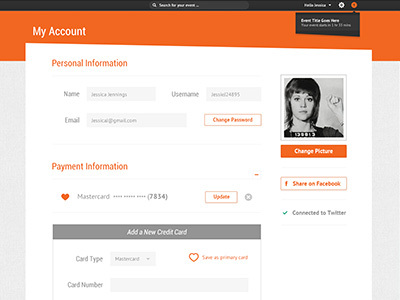 Here’s a sneak peek at a user interface design that is in the initial design stages. Trying to keep the design as minimal, clean and flat as possible, while also finding moments of uniqueness in the details – such as the use of diagonal lines. More to come!